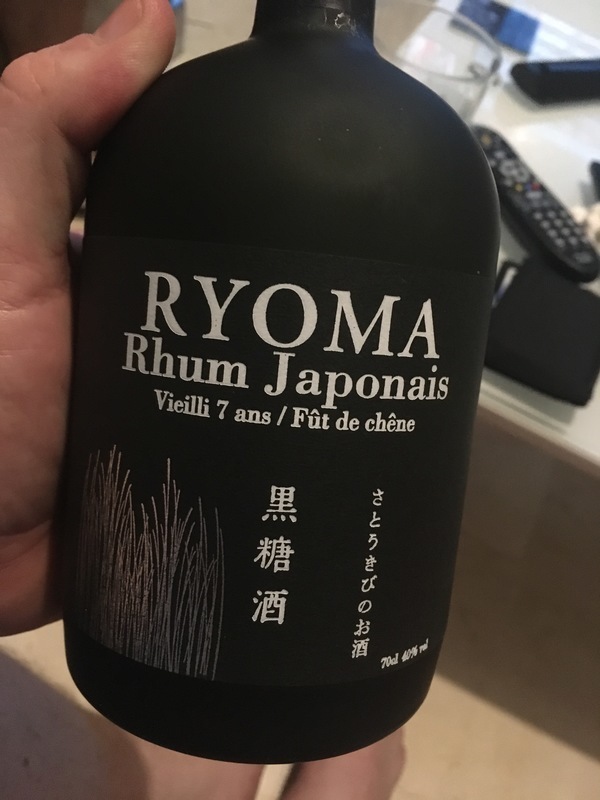 Have you found an online vendor selling Ryoma 7-Year? 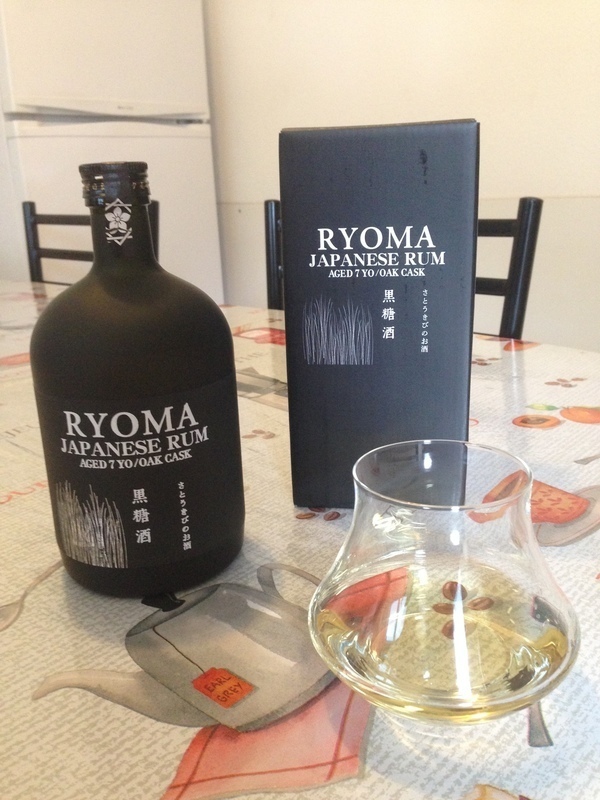 Ryoma 7-Year rum is made from sugar cane grown in Japan's oldest cane plantation, then aged for 7 years in oak casks. The rum produced by Kikusui, a distillery located about 300 km SW of Osaka, Japan. 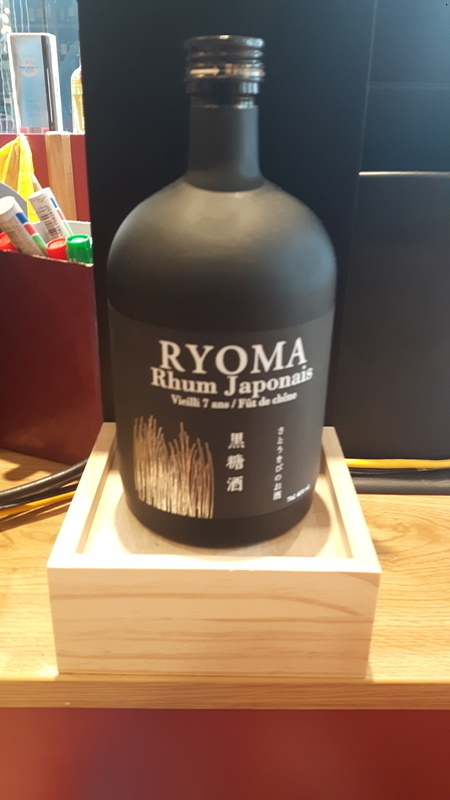 The Ryoma Rum's namesake is Sakamoto Ryōma, a prominent figure in the Tokugawa shogun's overthrow, marking the end of Japan's last feudal military government that transitioned in 1868. The bottle is quite attractive with its minimalist design, resembling those ceramic bottles sake is poured from we all know from old black and white Japanese movies. In the glass, the color is pale straw yellow, obviously a natural color obtained just by barrel aging, so points for that! Stern contrast with certain brands that are aged for a few years, yet resemble maple syrup due to heavy caramel dose. The nose is delicate, vegetal, grassy, and earthy, wet grass, moss. On the palate, this rum is very delicate and complex, resembling agricole rhums, but much less assertive, with a distinct brine note, but perfectly harmonious. There is an underlying hint of a sweet note, resembling a fleeting smile of a sympathetic stranger. The finish is warm and medium-length. aged in oak barrels, nothing more, but also nothing less. Therefore, I am compelled to give this rum the perfect score. It won't please everyone, but neither will an original book or a daring painting. This rum goes its own way, regardless of opinions of others, and that is something I must appreciate. We need more rums like this. This was not particularly my style of rum. A mix of bitter & dryness. Also closer to the taste & flavour of Sake than Rum. I'd say - if you like Sake, this one is worth testing ! Un rhum vraiment particulier. Je ne le rapprocherais pas du saké, mais plutôt d'un whiskey. Malheureusement, je n'aime pas le whiskey, je n'ai donc pas trop aimé ce rhum, que je trouvais trop sec et "manquant de sucre" à mon goût. Du reste, je pense que ceux qui aiment le whiskey aimeront facilement ce rhum qui est, de toute évidence, travaillé, et assez complexe. The weirdest rum ever. You wanna vomit just from the smell, but then you taste it and find something good about it. It a light color rum, smoky taste, smell like sake. Si tratta di un rum che assomiglia più ad un whisky sia nel colore che nel sapore, leggermente aspro e secco, può ricordare anche altri brandy, a tratti come la Vecchia Romagna, oppure il sakè. Non è il mio tipo preferito di rum, da assaggiare soprattutto se si è amanti di wishky o sakè, ma, al di là della sua inusualità, non direi che si tratti di un rum entusiasmante, particolare di sicuro, ma speciale forse no. In der Nase, Düfte von unreife Früchte die an harziges, rauchiges Holz geklebt sind, sehr interessant. Im Gaumen, dezente Aromen einer Blumenwiese und Honig auf Reispapier, sehr speziell. Im Abgang scharf mit Blumen und Heu. Ein leckerer Rum der einen Versuch wert ist, für Entdecker und Eroberer. On the nose, fragrances of unripe fruits glued to resinous, smoky wood, very interesting. On the palate, subtle aromas of a flower meadow and honey on rice paper, very special. In the finish sharp with flowers and hay. A delicious rum that is worth a try, for explorers and conquerors. Something diffrent. Kind of a sagé. Pas que ce soit une mauvaise boisson en soit, c'est plutôt maitrisé mais ça ne ressemble en rien à ce qu'on connait ailleurs. Une odeur de jeune whisky et un gout qui rappellera le saké effectivement (sauf pour les puristes du saké ok). Étrange, pas à mon gout, c'est dommage parce que justement je fuis tout ce qui se ressemble. The Ryoma 7 year old has such a strong alcohol smell into it that it's very offputting. Then you taste it and it's a mish-mash of a lot of flavors without anything really coming through. And the burn, wow, it's like moonshine disguised as an aged rum. Stay away from this one! First of all, I think all the ones who compare it to Sake never drunk Sake of their life. Just because it's from Japan then it tastes like Sake, BS. I drunk enough of Sake in Japan to say I have never found one similar in taste. Instead, and I guess it's where many get confused, the smell and first taste (and even the colour) are very much similar to a good grappa (Italian spirit). After few seconds, then you will start to taste some sugar cane. My only issue is its price, way too expensive (especially if you compare with prices of Grappas), but it's a very enjoyable rum. It tastes a bit like young whisky. The smell is not to mycket liking. This is getting alot of hate but I like it. Its strong, very smokey and intense. So many are comparing it to a Sake, but I have no idea why. This is closer to a young whisky with a rhum twist that isn't quite there yet but still does the job. Rhum de couleur très pale pour un rhum âgé de 7 ans. Ce rhum n'a pas vraiment le gout du rhum, il se rapproche du gout du saké. Ce rhum sent un peu les plantes.couleur tres claire il semble tres jeune.les notes de plantes se retrouvent a la degustation .ce rhum est dificle a noter.certains detesteront.mais je trouve malgre des critiques de copains avant degustations car ils l avaie t que finalement c pas si mal.en effet cela semble bien fait subtil tres sec et donc atypique.mais c est un produit de qualite.je n en racheterais pas mais c a acoir dans une collection.note 6.8.